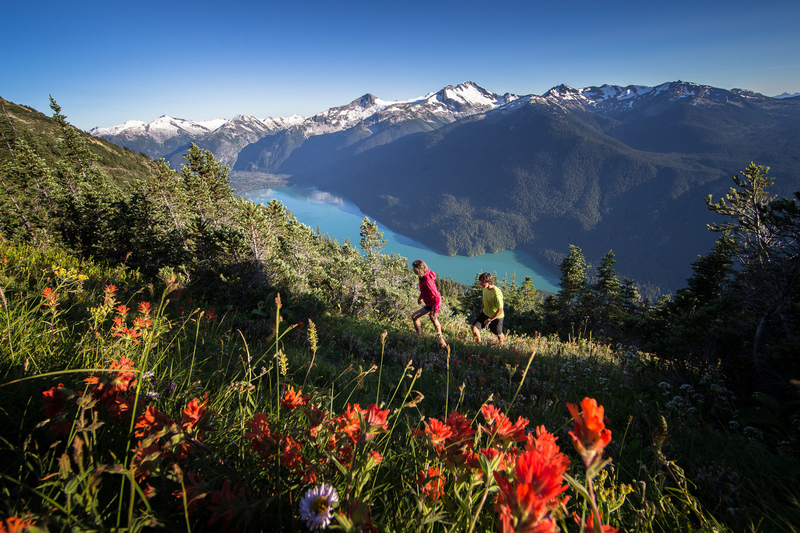 There are big changes coming to our mountains this summer. With $66 million in upgrades happening, there is a lot to get excited about. In the lead up to the 2018.19 season we’ll be keeping you up to date on the progress of the construction, and give you a behind the scenes look at all of the changes. 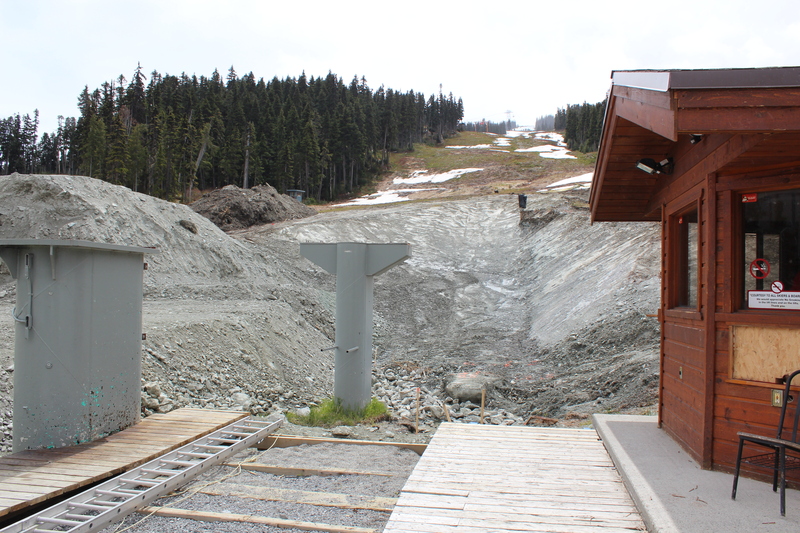 The first phase of this massive renovation process is to remove the existing lifts, and prepare ground for new lift stations and towers. Starting in May the construction crews started dismantling the lifts. The first step was to take the chairs off of the line. The chairs from Wizard and Solar were sold by the Whistler Blackcomb Foundation to raise money for local charities. After the chairs and haul rope were off towers were then prepped for removal. Each tower was unbolted and then flown by a helicopter to the Tube Park to await pickup. The last step in the demo phase was to remove the top and bottom stations. Any internal parts that can work as spares on other lifts were saved before dismantling the rest. Sad to see this go, but big things coming in it’s place. As the morning basecamp for many local powder-hounds, the removal of Wizard chair was a bittersweet sight to see. Both Wizard and Solar chairs were getting very old. 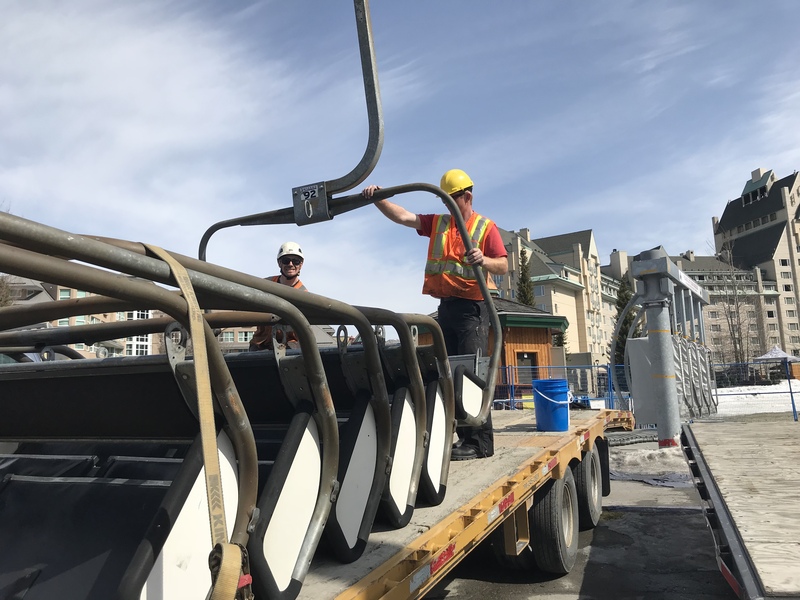 Instead of simply replacing them with the same type of chair, this renovation has given us the opportunity to improve your experience with the new ten-passenger gondola. The increased upload capacity will get you from lift maze to slopes even faster, and the new enclosed cabins keep you toasty warm on the ride up. The new 10-passenger gondola will have a mid-station on the flats just below the bottom of the old Solar Coaster chair. Crews have been hard at work preparing the ground for the upcoming pouring of the foundations. 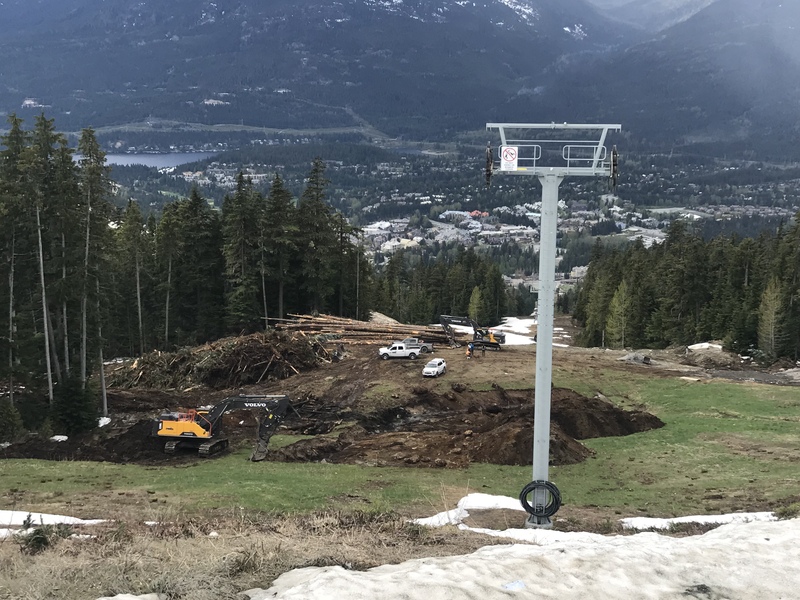 Over on Whistler, Emerald chair has been disassembled piece by piece, so it can put back together as the new Catskinner chair on Blackcomb Mountain. Construction will begin shortly on the new 6-passenger chair that will be going in its place. 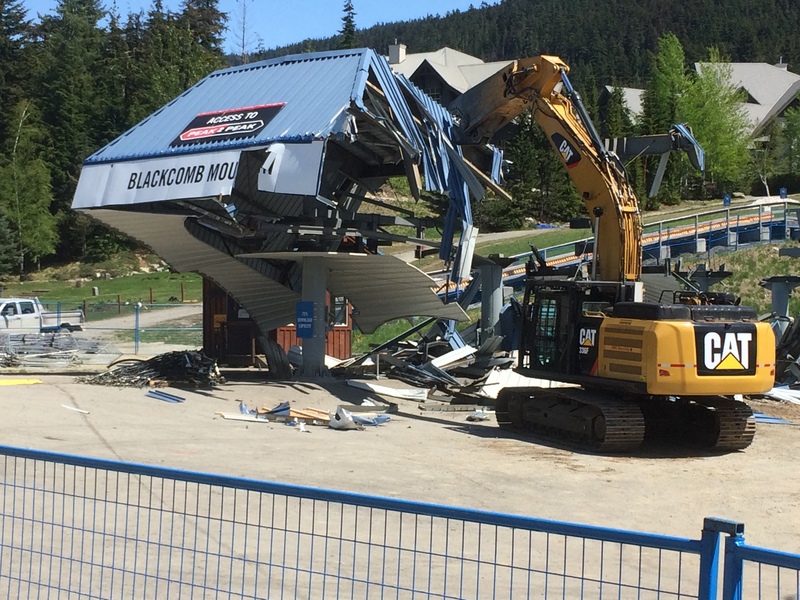 Like the world’s most difficult Ikea set, Emerald Chair has been taken apart piece-by-piece to be re-assembled on Blackcomb. In the coming weeks the foundations will be poured for the new stations and lift towers. We’ll be providing updates and images as they come. Next winter will be here before you know it. 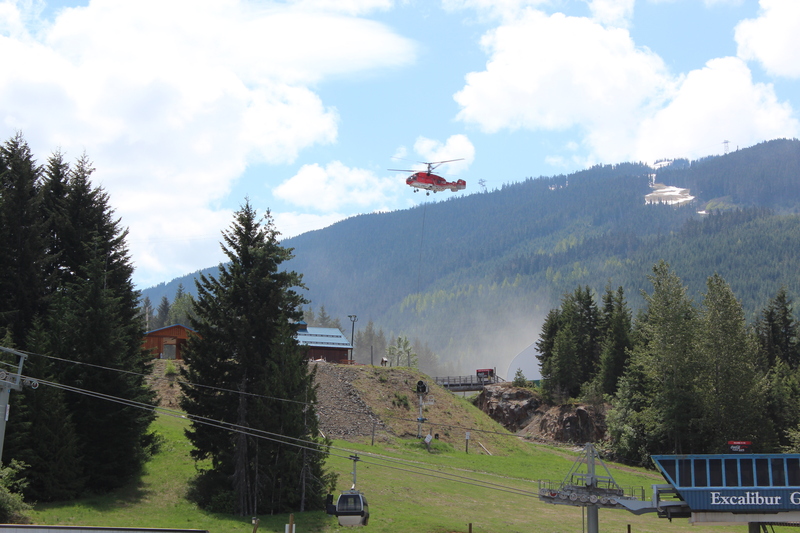 Make sure to lock down your ski pass now to save money, and gain access to summer sightseeing.